A new ad by Greenpeace has been making the rounds recently. The touching short, conceived by London-based ad agency Don't Panic, is part of a larger campaign by Greenpeace against Shell's ambitions to drill in the Arctic. The ad urges Lego to cut ties with multinational oil and gas company Shell, with whom the toymaker partnered to distribute its toys. Lego has also branded Shell's logo on a special set of its toys. Greenpeace finds Lego's environmental commitments irreconcilable with Shell's Arctic foray, which poses all kinds of risks to the Arctic's unique marine environment. 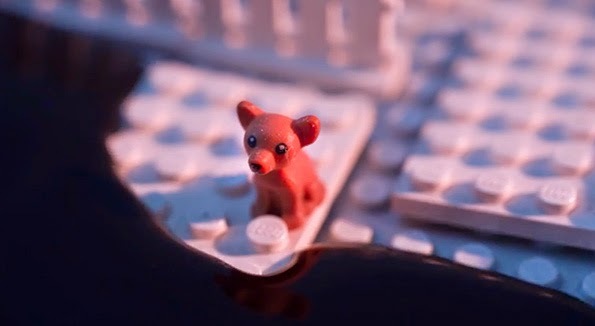 If you want Lego to end its ill-judged partnership with Shell, you can sign the Save The Arctic petition, which has already generated over 240,000 signatures. The viral video, on its part, has so far garnered well over 2.7 million views on YouTube. Kudos to Don't Panic and creative director Richard Beer!